Whether they're snatching your purse, diving into your dumpster, stealing your mail, or hacking into your computer, they're out to get you. Who are they? Identity thieves. Identity thieves can empty your bank account, max out your credit cards, open new accounts in your name, and purchase furniture, cars, and even homes using your credit history. If they give your personal information to the police during an arrest and then don't show up for a court date, you may be subsequently arrested and jailed. And what will you get for their efforts? You'll get the headache and expense of cleaning up the mess they leave behind. It's important to review your credit report periodically. Check to make sure that all the information contained in it is correct, and be on the lookout for any fraudulent activity. You may get your credit report for free once a year. To do so, visit www.annualcreditreport.com. If you need to correct any information or dispute any entries, contact the three national credit reporting agencies: Equifax, Experian, and TransUnion. 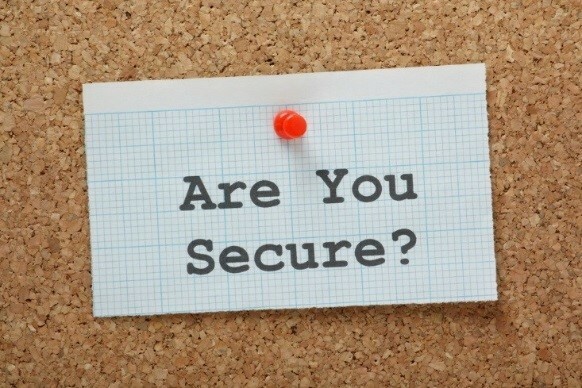 Your most important personal identifier is your Social Security number (SSN). Guard it carefully. Never carry your Social Security card with you unless you'll need it. The same goes for other forms of identification (for example, health insurance cards) that display your SSN. If your state uses your SSN as your driver's license number, request an alternate number. Don't have your SSN preprinted on your checks, and don't let merchants write it on your checks. Don't give it out over the phone unless you initiate the call to an organization you trust. Ask the three major credit reporting agencies to truncate it on your credit reports. Try to avoid listing it on employment applications; offer instead to provide it during a job interview. Most of us carry our checkbooks and credit cards, debit cards, and telephone cards with us all the time. That's a bad idea; if your wallet or purse is stolen, the thief will have a treasure chest of new toys to play with. Carry only the cards and/or checks you'll need for any one trip. And keep a written record of all your account numbers, credit card expiration dates, and the telephone numbers of the customer service and fraud departments in a secure place--at home. When you make a purchase with a credit or debit card, you're given a receipt. Don't throw it away or leave it behind; it may contain your credit or debit card number. And don't leave it in the shopping bag inside your car while you continue shopping; if your car is broken into and the item you bought is stolen, your identity may be as well. Save your receipts until you can check them against your monthly credit card and bank statements and watch your statements for purchases you didn't make. Before you throw out any financial records such as credit or debit card receipts and statements, cancelled checks, or even offers for credit you receive in the mail, shred the documents, preferably with a cross-cut shredder. If you don't, you may find the panhandler going through your dumpster was looking for more than discarded leftovers. Whatever else you may want your computer to do, you don't want it to inadvertently reveal your personal information to others. Take steps to help assure that this won't happen. Try to avoid storing personal and financial information on a laptop; if it's stolen, the thief may obtain more than your computer. If you must store such information on your laptop, make things as difficult as possible for a thief by protecting these files with a strong password--one that's six to eight characters long, and that contains letters (upper and lower case), numbers, and symbols. "If a stranger calls don't answer." Opening e-mails from people you don't know, especially if you download attached files or click on hyperlinks within the message, can expose you to viruses, infect your computer with "spyware" that captures information by recording your keystrokes, or lead you to "spoofs" (websites that replicate legitimate business sites) designed to trick you into revealing personal information that can be used to steal your identity. If you wish to visit a business's legitimate website, use your stored bookmark or type the URL address directly into the browser. If you provide personal or financial information about yourself over the Internet, do so only at secure websites; to determine if a site is secure, look for a URL that begins with "https" (instead of "http") or a lock icon on the browser's status bar. 1 3Broadridge Investor Communication Solutions, Inc. Copyright 2015. 2http://www.newsday.com/news/nation/top-10-new-year-s-resolutions-for-2015-and-how-to-keep-them-1.9753461 5 gradientfinancialgroup.com Newsletter Insurance products and services are offered through Craig Colley | Coliday and is not affiliated with Gradient Securities, LLC.